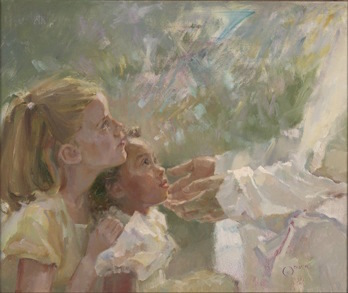 We have been called by Jesus to walk as children of the light. Young children to be open and trusting, particularly if they are raised in a loving environment. When we get older we become more aware of our shortcomings and we want to hide them. We don’t want others to see through us because we know that we are not altogether pure. The Pharisees made it a practice of diverting the gaze of others from them by compounding rules that others would not be able to keep. They created darkness to obscure that fact that they were not walking in the light themselves. While we have Jesus we should walk in Him. He extends His hand to us but we must grasp it. Though He warned the Pharisees they would not listen. There might be a time when we do not have Jesus. All anyone can attempt to do without Him is to coverup. Yet darkness is only a temporary solution. Ultimately, it is no solution at all. Why should we depend upon deception when we can depend upon God?